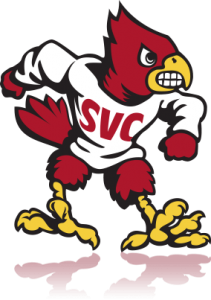 Welcome - Students at Skagit Valley Colleges (SVC) elect to take online (eLearning) courses because of a variety of reasons including flexibility in scheduling, learning preferences, and cost effectiviness. The eLearning courses at SVC are academically rigorous and equivalent to traditional face-to-face courses. They are the same in terms of credits, learning objectives, competencies, content, and transferability. Also, the same policies concerning admission requirements are the same. If you miss the in-person workshops you can still enroll in the course and complete the orientation at your own pace. Self-enroll (you will be prompted to login to Canvas using your MySVC email address and password). For more information. If you miss the in-person workshops you can still enroll in the course and complete the orientation at your own pace. Online (eLearning) course: All instruction takes place online. The expectation is that students don’t have to come to class and are not required to be online at a particular time. But, some eLearning classes may have few required class meetings (i.e: for orientation or lab activities). Online courses are not self-pace; they follow assignments schedule and academic calendar. The flexibility of eLearning comes via one's ability to manage their learning time as long as course work is completed by predefined due dates. Face-to-face course: Traditional style of class where predominant portion of instruction is delivered in face-to-face class meetings. All classroom instruction takes place on campus at set hours and day of the week and for which there are attendance expectations. The general expectation is that the classroom is the primary place for instruction. Hybrid course: It is a combination of face-to-face instruction and a significant amount of self-directed learning done online. The expectation is to master content and come to class prepared to move on with new content. The hybrid course format provides an opportunity to take advantage of both the face-to-face and online formats. For example, a traditional 5 credit will usually meet 4 times per week, but when converted into a hybrid course, half of those weekly sessions might be replaced by work done independently in an online course management system (CMS) like Canvas.